Brent had just arrived from New Zealand and his rough workmates in the industrial firm wanted to save the young man from Keith Barry--one of those "weird Adventists." But despite the taunts and the odd crust thrown Keith's way during their lunch break, Keith never retaliated or altered the long-suffering smile on this face. Little by little, Brent came to admire this man. Brent had just arrived from New Zealand and his rough workmates in the industrial firm wanted to save the young man from Keith Barry--one of those "weird Adventists." But despite the taunts and the odd crust thrown Keith's way during their lunch break, Keith never retaliated or altered the long-suffering smile on this face. Little by little, Brent came to admire this man. Keith had a sincerity and concern that Brent had never seen in any other Christian. They began to talk about the issues of life and what happened after death. Keith's ideas were different to anything Brent had ever heard but he was always able to back them up with scripture. When Keith invited Brent to come to his church to hear the evangelist, George Burnside, Brent accepted his invitation and never missed a meeting of the series. Bible studies began with the church pastor and at the end of 1988, I had the privilege of baptising Brent, along with others, as a result of the "Preacher." Not only would Keith witness to his workmates but on Sabbath afternoons and Sundays, he would be found letterboxing, knocking on doors or giving out literature. "Pastor," he would say, "Please come and meet some of my interests." Keith was always anxious to have someone follow up and study with his interests. Although he had a good knowledge of the Bible, he felt he had a poor education and was incapable of taking a series of Bible studies. He would never speak in public. One Sabbath afternoon when I went out with him, his "interest" had changed their mind and told us so in no uncertain terms. So at the next home, I suggested he knock on the door while I sat in the car. If they were still interested, he was to call me. A few minutes later, Keith returned and said the people told him they were busy and it was not a convenient time to talk. "We'll go back next Sabbath afternoon then!" he said with unabated enthusiasm. I said nothing but wondered if this man ever realised when people were not interested. Keith never seemed to give up! The next Sabbath, he returned to the car with a smile. "Come in," he said. "These people will talk with us. The parents' names are Graham and Robyn." We were to discover that Robyn's father had been an Adventist as a young man. 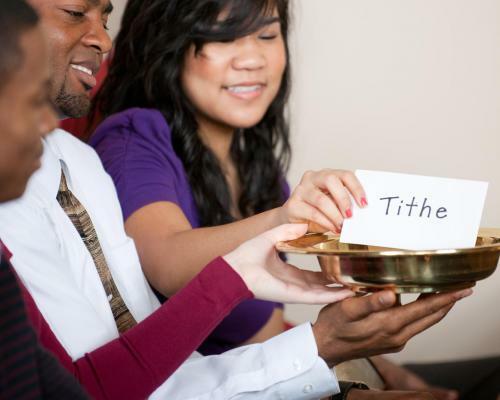 For years after his marriage, he had still anonymously paid his tithe to the Adventist Church. I was able to commence Bible studies in their home and they began attending church. They were later baptised. I often pleaded with Keith not to work in Sydney suburbs a distance from our local church. If he had followed my human reasoning, he would never have located Robyn and Graham. Keith lived close to the Lord and when he felt the Spirit was directing him, he obeyed God's leading! Thus, in a distant Sydney suburb one Sunday morning, Keith was putting leaflets into letterboxes. When Barbara heard her letterbox being opened, she went out to investigate and discovered Keith making his way along her street. She called out to him and asked what the leaflet he left was about. Right there in the middle of her lawn on this first contact, she was told about the "mark of the beast." She told Keith she attended a church where they never discussed prophecy and asked for more information. Bible studies commenced with my assistant pastor and even before Barbara was baptised, she joined Keith and others in the work that brought the Adventist message to her. Keith has now been laid to rest in Avondale Cemetery. Among those who mourned were many Keith had brought to the Lord. Brent and his wife, Marian, have now been involved with more than 10 years of volunteer Bible work and a further seven years in full-time ministry. Some years, Brent has been the most successful soul winner of his conference. Graham, who was a Qantas engineer, built his own airplane after retirement and has flown volunteers to witness with Signs magazines in towns of the Australian outback. the Lord until she recently passed away. And I heard a voice from heaven saying, "Write this down: Blessed are those who die in the Lord from now on. Yes, says the Spirit, they are blessed indeed, for they will rest from their hard work; for their good deeds follow them!" Revelation 14:13. E Bruce Price is a retired pastor who now lives in Pelican Waters, Queensland.